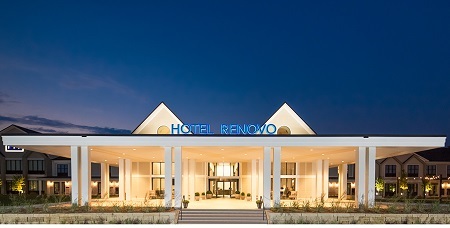 2018 Luxury Farmhouse-Style Hotel Renovo in Urbandale, IOWA! Bid Per Night and Choose Your Length of Stay! at Hotel Renovo in Urbandale, IOWA! 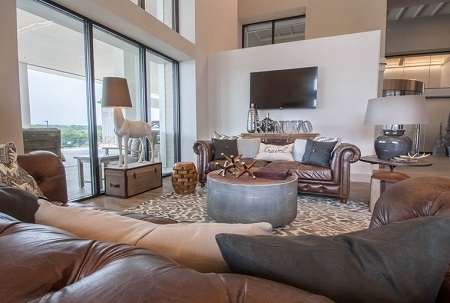 Boasting a modern farmhouse architectural design with 32 foot high vaulted ceilings and sleek glass balconies overlooking the inviting lobby, Hotel Renovo is a truly luxurious hotel nestled in the heart of Des Moines, Iowa. Tranquility finds new meaning in the stylish glass staircase in the lobby while the full service bar is the perfect place to sip an exquisite cocktail with a friend or colleague. This stunning resort is the perfect homebase for both business and leisure travelles alike. Enjoy the natural and simplistic decorations in the 102 guestrooms complete with modern farm artwork and Carrera marble bathrooms. Lounge by the oversized pool, unwind on the wrap-around porch and catch the sunrise over breakfast, or fit in a workout at the sprawling fitness center. 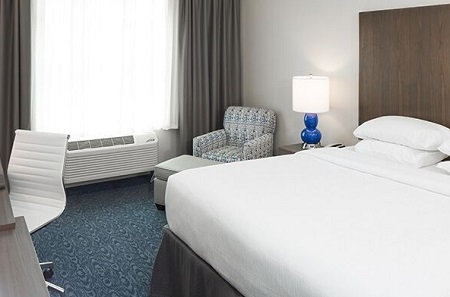 With a location just outside of the Metro Area, guests at Hotel Renovo are moments away from fabulous shopping, delicious dining, and top businesses in the area. 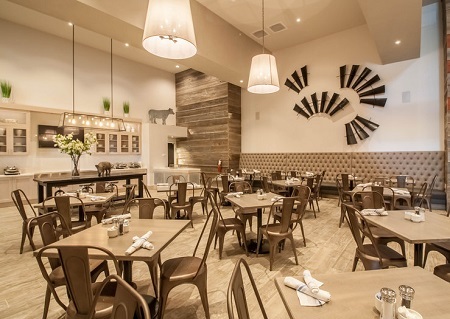 Featuring delicious daily dinner and drink specials, the Lobby Bar and Grill at this boutique hotel has a wide range of chef-inspired dishes served in a sophisticated atmosphere. Offer is based on a Single or Double Occupancy in a King Room - King Bed- 304SF- Chair- Free WiFi- Fridge. Enjoy your refreshing stay in this 304 square foot room complete with a king size bed with luxurious Villa di Lusso crisp white cotton linens. This king room features a modern desk work space and over-sized chair with ottoman. The large bathroom offers a large walk-in glass shower and Carrera marble vanity. The featured Beekman 1802™ bath amenities will leave you feeling refreshed and renewed. Room is equipped with state of the art technology including complimentary high-speed wired and wireless internet, Starbucks™ in-room coffee pods with maker and fridge. Long day? Stay in with available room service. All hotel guests have access to our 24-hour on-site fitness center featuring state of the art equipment. Stay a minimum of 1 Night or up to 2 Nights as desired and based on availability.